The original Mayflower that sailed to Plymouth in 1620 no longer exists. 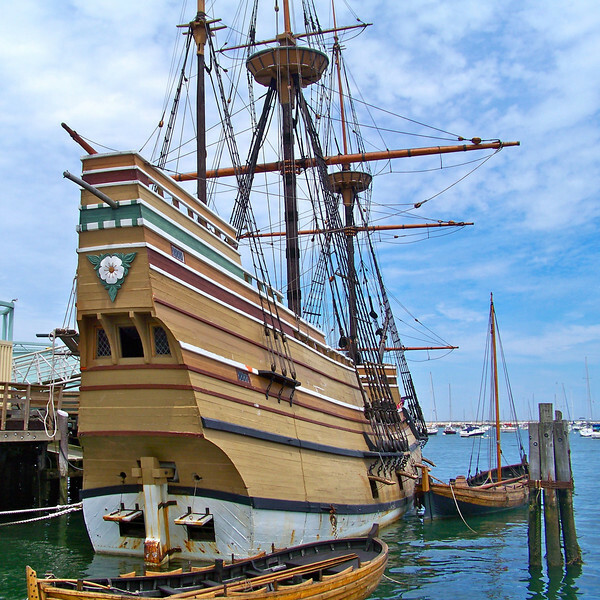 Plymouth Plantation's full-scale reproduction, Mayflower II, was built in Devon, England and crossed the Atlantic in 1957. The details of the ship, from the solid oak timbers and tarred hemp rigging to the wood and horn lanterns and hand-colored maps, have been carefully re-created.